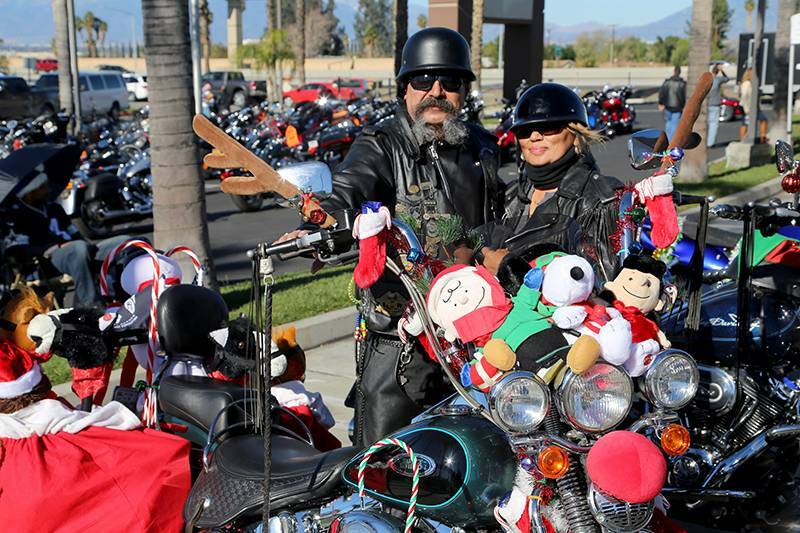 WHAT: Start your engines and ride over to Quaid Harley-Davidson this Sunday, Dec. 16, for the 26th annual Toy Run benefiting Loma Linda University Children’s Hospital. Participants will gift patients and their families with a new toy and ride their festively decorated bikes in front of Children’s Hospital. The event is open to the public, and all bikes are welcome and invited to participate. Each participant is asked to pay a $10 entry fee and bring a new, unwrapped toy. The Loma Linda motorcycle dealer encourages participants to bring their best holiday spirit and decorate their bikes. The event will begin at 10:30 a.m. featuring live music and food for all to enjoy. Patients from Children’s Hospital and their families are invited to come out to the event, visit with Santa Claus and pick out a toy. Riders will leave Quaid Harley-Davidson at 1:00 p.m. and ride a route — led by the Loma Linda Fire Department —around the Children's Hospital. Due to ongoing construction, riders will not be stopping at the hospital. Photo Caption: Bikers festively decorated their motorcycles for the 24th annual Quaid Harley-Davidson Toy Run in 2016.